Posted on September 15, 2015 by Lili Rodriguez. 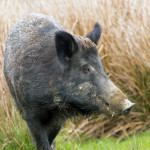 Are There Wild Pigs in Paradise? Posted on September 10, 2015 by Lili Rodriguez.